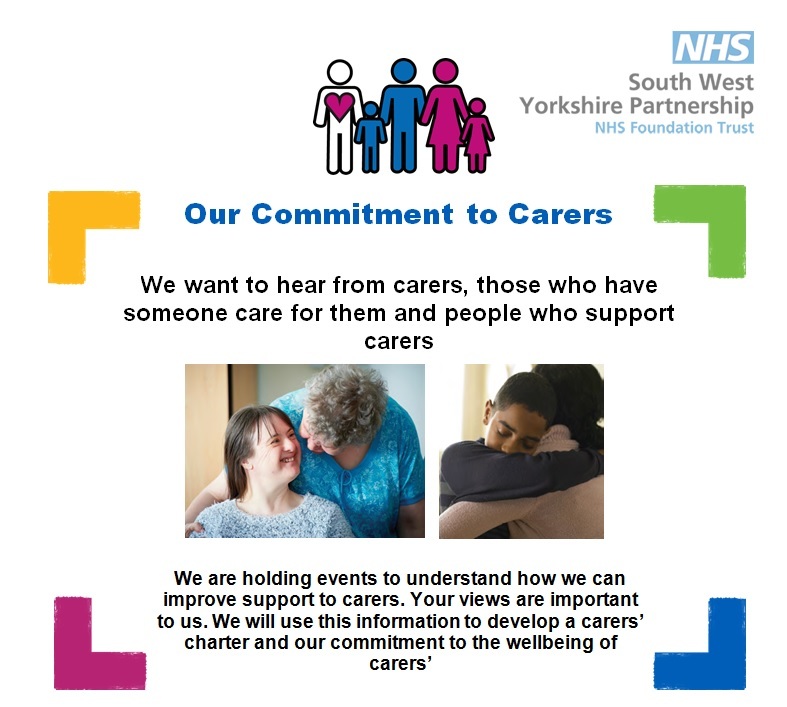 South West Yorkshire Partnership NHS Foundation Trust is holding a number of events where you are invited to hear about their proposals and discuss your thoughts on how a carers strategy and carers charter could be developed. If you would like to attend this or one of the other events, please book a place by calling 07867 787409 or email yasmin.arshad@swyt.nhs.uk letting us know which event you want to attend. This entry was posted in Events, June and tagged Elsie Whiteley Innovation Centre, South West Yorkshire Partnership NHS Trust.